today, i will be making a tutorial of the above picture. this design was a random artwork when i was studying. inspiration came from exercise books! :D alright, enough of crap. i shall start. 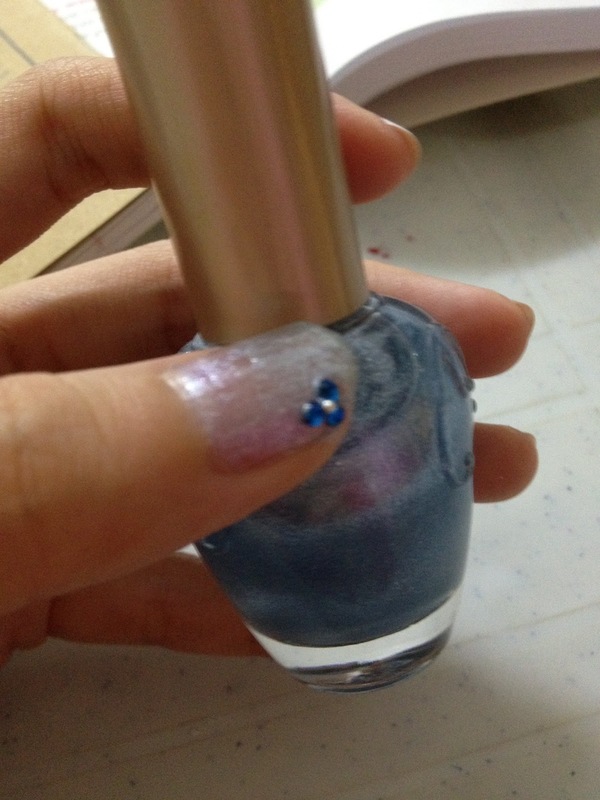 after base coat, paint a layer with alice blue. wait for it to dry. apply another layer starting from middle for second layer then tip for third layer. 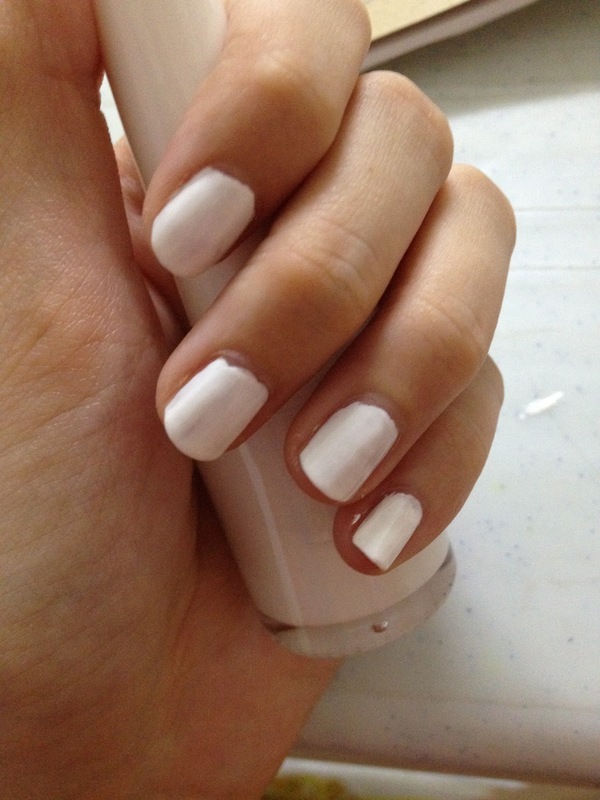 for the rest of your fingers, apply white after base coat. 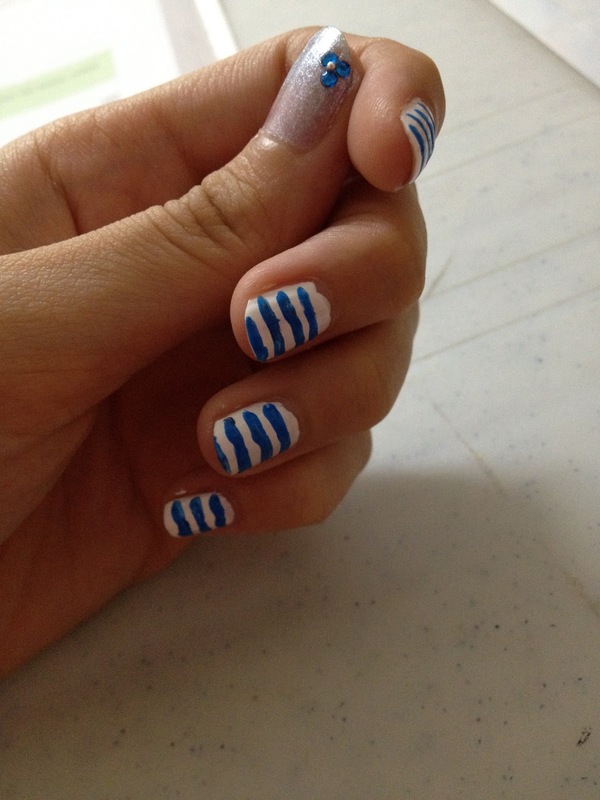 PS: This is actually a very very simple design. The trick is to have straight lines.